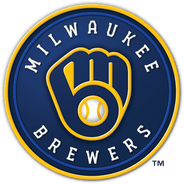 Wilson entered Monday's loss to the Angels in the eighth inning with the Brewers trailing 5-2 and retired the only two batters he faced. Wilson picked up a save not even a week ago, but he has pitched in mop-up duty twice since -- once with disastrous results, giving up six earned runs against the Cubs on Saturday. Wilson's ratios are bloated by that outing, but he has been effective otherwise, giving up just two hits and a walk in 4.2 innings over his other four outings. It remains to be seen if -- not when -- he will receive another save opportunity, but his chances of being used in that role will decrease significantly when Jeremy Jeffress (shoulder) comes off the injured list. Wilson picked up his first save of the season with a scoreless ninth inning in Wednesday's victory over the Reds. Wilson issued a leadoff walk and later allowed a single with two outs, but he was able to navigate around both and come away with his first save since joining the Brewers. Josh Hader remains the primary closer for the club for the time being, but Wilson looks to be next in line -- at least until Jeremy Jeffress (shoulder) returns -- having pitched twice directly in front of Hader before working the ninth inning Wednesday with Hader unavailable. 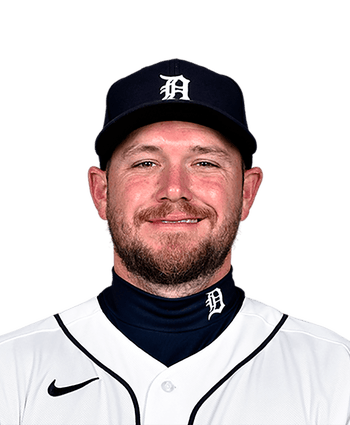 That gives Wilson some added fantasy value for now, but the bullpen roles will change in some fashion when Jeffress returns, and Hader and Jeffress figure to be manager Craig Counsell's preferred options at the back end. Wilson (1-0) recorded the win in Monday's 4-3 victory over the Reds, giving up one hit and striking out two in 1.2 innings of relief. The right-hander was the pitcher of record when Ryan Braun's double brought home the winning run in the top of the ninth inning. Wilson didn't join the Brewers until the final week of training camp, but he's been a valuable addition so far to a bullpen missing both Corey Knebel (elbow) and Jeremy Jeffress (shoulder), tossing three scoreless innings in his first two appearances of 2019 with a 4:0 K:BB.